Alexandra Angle transformed a beachside cabin into a colorful retreat for a college friend and her family. The living area features a PP130 Circle Chair by Hans Wegner and a Shaker wood stove by Antonio Citterio with Toan Nguyen for Wittus. 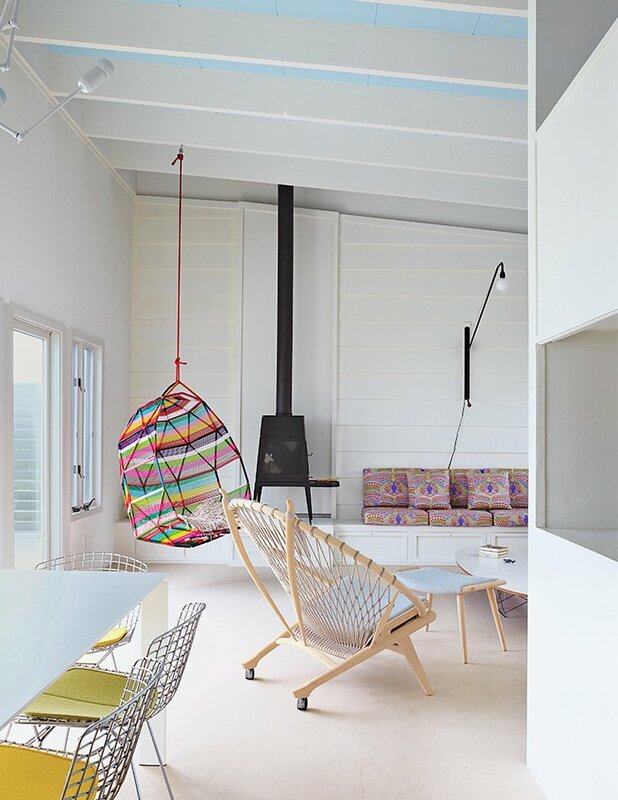 A Tropicalia Cocoon hanging chair by Patricia Urquiola complements the fabric from Liberty that Angle used for the cushions on the built-in banquette.